As both general and cosmetic dentists, we are able to guarantee our ability to provide you with both healthy teeth and a fantastic smile. We know that though both elements are incredibly important that each individually simply cannot provide the level of satisfaction of the two working in tandem. As such, we pay a special degree of care to both elements, ensuring that our efforts in the service of one goal work harmoniously in the pursuit of the other, the end result being a beautiful smile that can and will last a lifetime. Whether you want to have whiter, straighter or more perfectly shaped teeth, with our help you can be proud every time you smile. 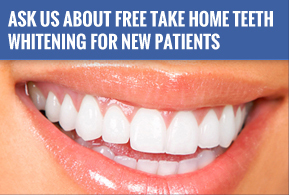 How Can Frankel Dentistry Help? All it takes is a call or a moment of your time to sign up online. We'll work with your budget and take your personality and style into account, crafting a plan which we know will leave you completely satisfied. We welcome clients from not only Toledo and Maumee, but also Sylvania, Ottawa Hills, Perrysburg, Whitehouse and the surrounding areas as well. We're here to work for you, to meet your needs, whether they be surgical or not. We have the experience required to provide you with expert care, and the kindness to make you feel comfortable and at peace. So why not contact us to discover the difference that Drs. Frankel and Puhl can make?